If you’re like many homeowners, having to call a trade service is an unexpected expense you’d prefer to avoid. Unfortunately, some feel as if they should hire someone for even minor issues. 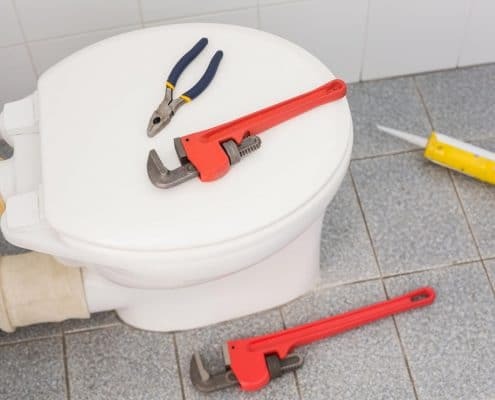 Calling a plumber each time your toilet sprung a leak or clog would soon add up. But the silver lining here is that many problems occur frequently, and the fix is usually an easy one! And if you remain stumped after trying these steps, don’t worry. Homes for Heroes has a deals page that you can check out to see if there are any discounts on parts in your local area! 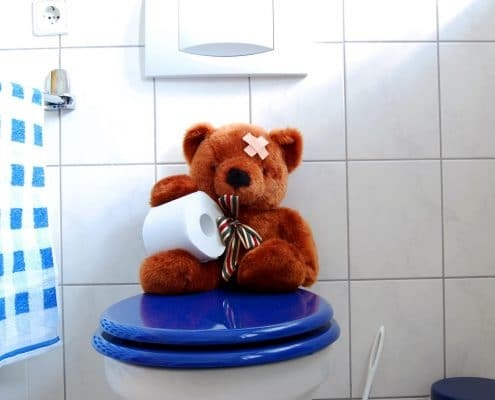 Many toilets begin to lose their seal within the tank. When you flush the commode, the rubber seal lifts up as water rushes past into the bowl. Over time, the motion wears away the seal, preventing water from dripping down. Not only is this wasteful, but frustrating when you’re trying to sleep. Once the valve controlling the flow of water gets turned to the “off” position, which should be sideways, you’ll need to flush the tank. Now that the tank’s empty, it’s a matter of unhooking the old seal and swapping it with the new one. Some types of seals can be disconnected from a chain, leaving the rest of the flushing kit intact. However, other brands make it all one piece, so, unfortunately, you’d have to replace more parts in that scenario. Once connected, just turn the water valve back “on” and the tank will fill. And just like that, no more running water! Now, don’t get embarrassed about this one; it isn’t always your fault! Some homes just don’t have efficient water flow, mainly depending on the location of the bathroom. 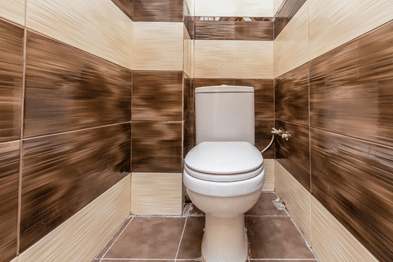 For instance, some homes with a second or even third story may find that bathrooms in the higher levels clog more frequently. As a result, the bathroom floods with whatever happened to have been in the bowl. The good news is, most clogs just need a few pumps from a plunger. However, if you don’t set it just right, and can quickly become a mess. If you have the original design of plungers with the deep pink “dome,” you may have to fight with it for a moment. These styles work best straight up and down, like using a butter churner. The newer extended plungers work best at an angle, where the head forces pressure more efficiently, clearing the blockage quicker. After a few firm uses, you should be all set. If the clog remains, you may need to find a plumbing snake to help remove it. These tools look a bit like a fishing reel, and the manual use models are relatively inexpensive. You feel the coil into the plumbing by turning the handle counterclockwise. Once you reverse it the other direction, it makes the obstruction more manageable. Did you know that the upper tank is a separate piece from the bottom half? That’s good news when your tank is damaged, but the rest of the toilet isn’t. In fact, the only thing holding the tank to the lower portion is a series of bolts! If you know how to switch the water on and off and own a screwdriver, you’re already halfway there! Just switch the water off and drain the tank. Once emptied, carefully loosen the screws holding the tank to the bowl underneath the back of the unit. While it may be a tight squeeze, you should be able to reach around from the front. From there, it’s a matter of eliminating the old portion and correctly setting and screwing the new one. It’s that simple! The hardest part may honestly be carrying the old porcelain to the trash. Once it’s all screwed back together, just turn the water valve back on and let the tank fill up again. Another quick and easy fix that doesn’t cost a fortune! Back to toilets that run all night long, it may not always be the seal within the tank that has outlived its useful life. The next item to replace, though, is still just a few bucks and is available nearly everywhere. If your flapper ball system stops working, your toilet no longer “knows” where the water level is. As a result, you still have water trickling down from the tank all day and night. For this fix, you may not need to drain the water at all, although some people prefer to stay dry. Just buy a new flapper ball kit, with American standard flush valve being the most commonly sold. The instructions on the packaging are simple to follow. In most cases, it’s a matter of unhooking the original and just sliding the new one in place. In a matter of minutes, your running water problem should get solved. And a fraction of what a plumber would charge! If you’ve ever used the bathroom in the morning and wondered why your socks are getting damp, your unit is likely leaking at the base where it connects to the floor. However, there is a temporary fix that may be just what you need. By running a new bead of caulking around the base, you can seal in that extra moisture. 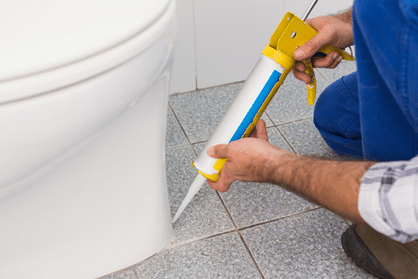 Caulking is a universal adhesive used all throughout your home, mostly around plumbing. That is because it’s a silicon-based product that seals in the water. A tube of caulking and the caulking “gun” (the thing that squeezes the product out) is only going to run a few bucks. Running caulking is easy to learn, and most of your efforts often get used in preparation. 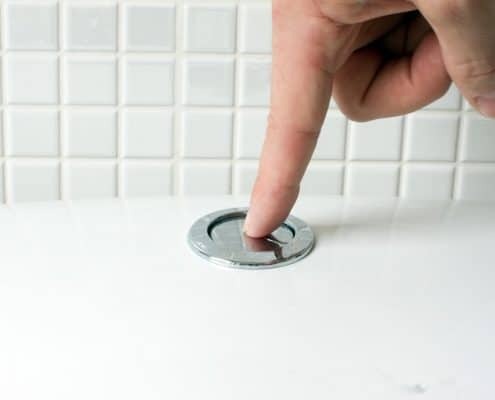 Switch off the water valve, just to be sure that you aren’t going to fight against freshly dripping water. Next, clean around the old caulking bead, scraping away and cleaning with hot soapy water until the surface is smooth. Finally, just squeeze a thin bead around the base and wait until it dries. Then turn the valve back on, and you’re all set! 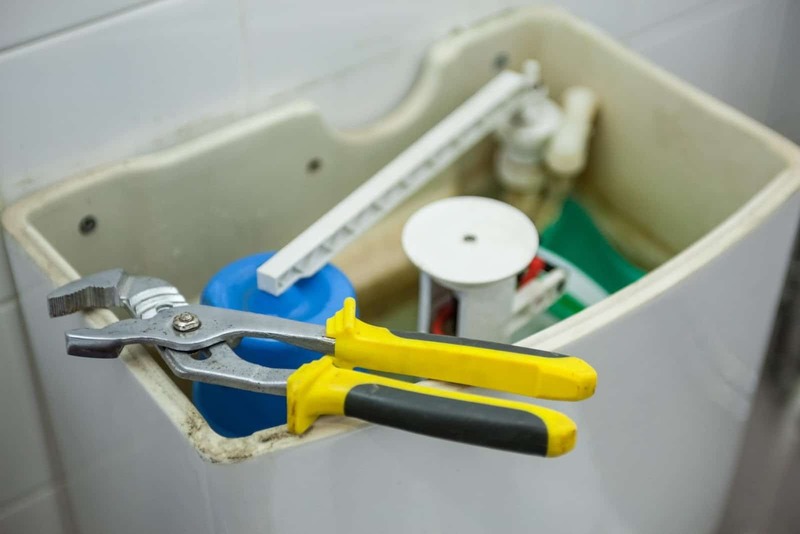 Even though a toilet problem can seem like a disaster, with just a little bit of troubleshooting found in this article, you can solve most problems easily.